President-elect Donald Trump has just named former Texas Governor Rick Perry to lead the U.S. Department of Energy (DOE). Over the past eight years, the agency has been run by two physicists: one with a Nobel Prize who transformed the focus of the agency from just management of nuclear weapons to energy more broadly and presided over the launch of ARPA-E, a groundbreaking initiative to make America an engine of energy technology innovation; and the other, a professor at MIT, who demonstrated his ability as a skilled diplomat by not only launching a breakthrough international clean energy research and development initiative but also by brokering a landmark agreement with Iran on peaceful use of nuclear energy. Indeed, over the last eight years DOE has helped transform the energy landscape of the country and the world through its many partnerships with companies domestically and partner nations abroad. 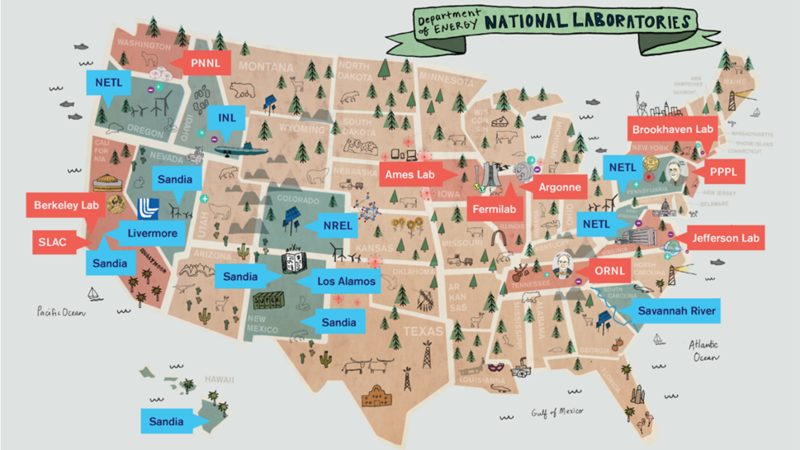 Governor Perry may not have the educational background to manage the agency, but let us look to the energy policies of his home state which he governed from 2000 to 2015 to predict DOE’s role in the Trump administration. Rick Perry may not remember the name of the agency he is about to lead, but his state depends on energy to drive its economy and this is precisely what makes it an energy leader in the nation. Texas “needs energy policies that are free of isolationism and protectionism,” stated Michael Webber, the deputy director of the Energy Institute at the University of Texas at Austin. Isolationism and protectionism were major parts of the president-elect’s platform during his presidential campaign. If coal protectionism is the goal of the incoming administration (whether through mandates or subsidies), the natural gas industry, its main rival and driver of economic growth in the state, would suffer. And if a wall is to be built along the Texas – Mexico border, would political sensitivities block market access to the state’s oil and gas industries? Will a border wall dim the prospects of cross-border energy connections including pipelines and electricity grids? The energy industry thrives in an open market and the weight of Texas’s energy industries may shape the nation’s (energy) policies. Market forces are also capitalizing on the state's environmental regulations and further contributing to Texas being a leader in clean energy deployment. Successive state legislation has: 1) revised and expanded the Texas Renewable Portfolio Standard (RPS) from 2 GW to 5.8 GW by 2015 with an aim of increasing to 10 GW by 2025 (which the state surpassed in 2009); 2) offered 100% property tax exemption to commercial and industrial renewable energy companies; 3) required investor-owned utilities to increase their annual growth in electricity demand to be met by energy efficiency measures from 10 to 30 percent; and 4) prohibited state agencies (barring emergency and law enforcement) with fleets of more than 15 vehicles from purchasing or leasing additional vehicles unless the vehicles use an alternative fuel source. With abundant sun and wind, the state is well placed to be a driver of energy from these sources. Texas ranks number one in the country in the potential of solar energy generation and has often been dubbed the Saudi Arabia of wind, which powers ten percent of the state’s electricity. It’s no wonder then, that according to the American Wind Energy Association, by the end of 2015, Texas led the nation with over 24,000 wind energy employees. This is a fraction of the more than 100,000 people employed in the renewable energy sector statewide by approximately 1,300 Texan companies. What’s more, according to Carlton Schwab, chief executive of the Texas Economic Development Council, these jobs pay average annual salaries of more than $78,000. Being a leader in clean energy technologies in a state that is deeply conservative suggests that the Department of Energy could continue to support an industry that is already skewing towards a cleaner (and better-paying) future. To curtail the worst impacts of climate change — which will affect poor countries most dramatically and undermine critical development gains — the global momentum that led to the Paris Agreement must be maintained. Developed countries, which have contributed most to climate change historically, must continue to take the lead in reversing the trends of industrialization which ignore negative environmental externalities and have global spillover effects. The US has already begun leading on emissions reduction, innovation, and climate and energy R&D. But the reactionary nature of short-term election cycles may threaten major progress on a global problem that requires a long arc of concentrated action. That’s not to say that other global leaders, such as China (see our colleague Jonah Busch’s recent blog here), won’t help pick up the tab, but shirking climate commitments would certainly diminish US influence and leverage internationally. The president’s comments come days after President-elect Trump’s transition team sent an unusual questionnaire to employees at DOE inquiring about staff members’ involvement in climate negotiations and research. The DOE has announced it won’t comply with the transition team’s request for names of climate researchers for fear that those staff may be negatively targeted by the incoming administration. Tactics like these have caused scientists to worry the new administration may tamper with scientific data, leading them to engage in “guerrilla archiving” to preserve datasets externally. Although the transition team’s initial forays haven’t been encouraging, Energy Secretary Perry has an opportunity to extend to the national level the inventive policies and mechanisms for scaling renewable energy that have been brought to bear in his home state of Texas. The state’s main power grid operator expects to reduce carbon emissions by 28 percent below the 2005 baseline by 2035; this will easily exceed reductions required by Texas under President Obama’s Clean Power Plan. 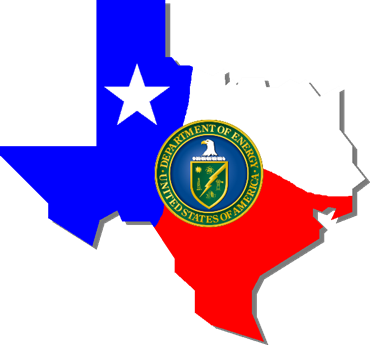 Texas has also created its own Energy Systems Lab (ESL) (similar to DOE’s 17 national labs) under its Emissions Reduction Plan passed in 2001. The ESL monitors and evaluates policy and technology impacts in the state’s energy sector to employ that evidence to build a cleaner, more efficient energy system. Public and private spending on R&D and innovation, for ventures such as Texas’s ESL and DOE’s national labs, should continue increasing to meet the world’s clean energy needs, rather than backsliding. The UNFCCC (2007) estimates that an additional $200 billion in global investment in R&D and innovation by 2030 is required just to return emissions to 2007 levels. Investment in R&D is a strong driver of innovative activity, and yet research clearly indicates that underinvestment in R&D and innovation is endemic to our governance system due to the market failure to place prices on emissions. Public investment for energy and climate research has risen under the Obama administration, but it will need to continue to do so. Private investors are also ramping up their ambitions. Earlier this week, Bill Gates, Mark Zuckerberg, and other prominent executives created the Breakthrough Energy Ventures fund, which is focused solely on generating financing for clean energy innovations. Energy is one of the pillars of US diplomacy. Nothing has driven the US foreign policy agenda in the last several decades quite like American energy security interests. Over the last decade, these interests have shifted from simply energy security (especially as the US weans itself off foreign oil) to a quest for new energy technology development and deployment. America’s bilateral energy partnerships led by DOE have facilitated the creation of a new global energy innovation ecosystem that has given rise to new technologies and furthered broader US foreign policy agendas with countries who are otherwise energy starved. These bilateral partnerships must be sustained and expanded under the new administration. Apart from bilateral partnerships on fossil energy, the US has forged several clean energy partnerships with other countries. Indeed, some US relationships with other countries are being defined by a partnership on increasingly cleaner sources of energy. Existing aggressive clean energy policies in countries like China and India will be sustained regardless of what the US decides to do with the Paris Agreement. And these countries will seek to continue collaborating with the US on clean energy research, development, and deployment. For example, one of the biggest areas of partnering with a country like India, which aims to install 175 GW of renewable energy capacity alone by 2022, is energy. DOE and the new administration would be wise to ensure that such targets are met by continuing existing collaboration if India is to be a reliable partner in other global matters, including trade and security. Texas’s energy policy record has shown us that such partnerships, unhindered by protectionism and isolationism, should be encouraged, and the technologies that will win out (which are trending cleaner) will facilitate US job growth. Hopefully Governor Perry will heed the policies of his home state as he prepares for his new role as Secretary of Energy.